Product prices and availability are accurate as of 2019-01-13 08:46:10 EST and are subject to change. Any price and availability information displayed on http://www.amazon.com/ at the time of purchase will apply to the purchase of this product. The Hoover CH84000 ground command commercial wet/dry vacuum cleaner offers multiple amenities that make the task of cleaning easy. Utilize the options, and your cleaning assignments will be completed in an efficient manner. The Hoover CH84000 ground command commercial wet/dry vacuum cleaner offers 1000-watts of cleaning power that's guaranteed to clean any mess efficiently. Featuring dual motors, this unit also offers a switch that allows you to move from wet to dry vacuuming easily. The Hoover CH84000 ground command commercial wet/dry vacuum cleaner includes 4 wheels that provide optimal mobility. Transporting this unit is easy. Just roll it along behind you. The 2 large rear wheels won't mar the floor either. Offering a sturdy wand, the Hoover CH84000 ground command commercial wet/dry vacuum cleaner makes reaching difficult spots easy. Moreover, the wand boasts incomparable suction capabilities for swift cleaning. 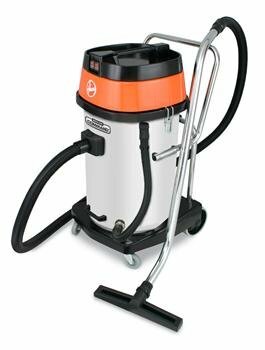 The Hoover CH84000 ground command commercial wet/dry vacuum cleaner offers a cloth filter that's easy to remove and clean. Designed to catch dust particle, this filter protects the motor from debris.